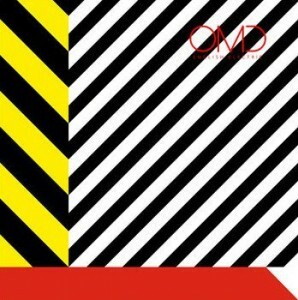 If there’s one thing that has stood out with the launch of OMD’s 2013 album release English Electric it’s the design aspect of the album and subsequent releases. 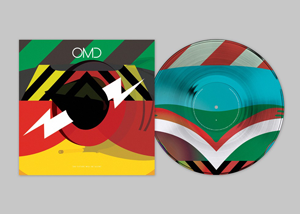 From the FAC6 homage of the limited edition metal box set to the eye-catching 10″ picture disc EP for The Future Will Be Silent through to the industrial sensibility for the sleeve to ‘Dresden’, this current OMD phase has been marked by some notable artwork. How did you get to be involved in the design for English Electric ? Andy McCluskey had contacted long-time friend Peter Saville about OMD’s new album English Electric . I have worked with Peter for over ten years but he no longer takes on such projects. Peter passed on some of the songs and the project excited me, I got in contact with Andy and we started discussions. Was there a very specific brief for the album? There wasn’t a specific written brief. It was much more a soundscape in which the design would inhabit, Andy has a very reductive visual sensibility which guided the process. Can you describe the role that Peter Saville had in the design process? Peter Saville would take the role of advisor to Andy and myself. I would make work that I would discuss with Peter, given Peter’s history with OMD. Then I’d present the work to Andy, and then we’d all discuss things and I’d progress the work based on those discussions. Did the design of the sleeve go through many radical revisions? There were many routes that the album sleeve could’ve taken. There were options that were based more strongly on the English Electric reference of the jet fighter and the Delphic Engine. 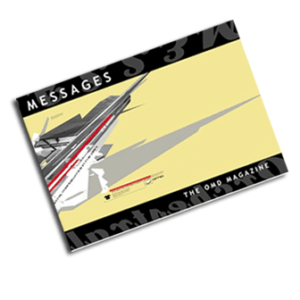 We steered towards a more minimal graphic given Andy’s response to the visuals. There was a point when we had a final album visual but we all agreed that it wasn’t quite right, so it was back to the drawing board! The design of The Future Must Be Silent EP is very different from the English Electric sleeve. Was this a conscious decision on your part or a direction from OMD? 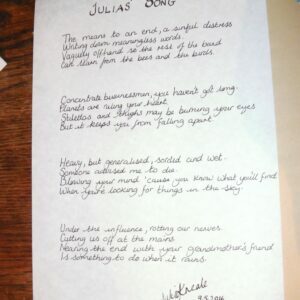 The Future Must Be Silent EP was always going to be something special that appeared for Record Store Day. It made sense to me that it should be different from the album and singles, even if it was based on the same elements. I was very passionate about the illustrations that I’d created that had more of a layered feel and I pushed them to the fore when we discussed this released. Happily everyone gave approval for this. 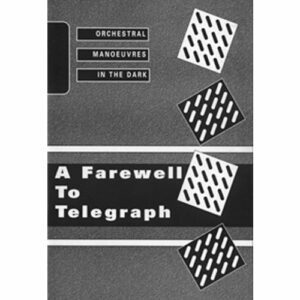 Were there any particular design challenges with the various English Electric formats and releases? There are always challenges when there are timelines to adhere to. Ordering the manufacture of the box for the box set had to be done very early on. We hadn’t finalised a cover for the album, so we had to discern what the elements would include 2 months before we designed the album cover itself. What were your thoughts on the songs themselves? Did that have a bearing on the design in any way? I perceived the songs as being futuristic and hopeful, of a new dawn and brighter future, which had a definite bearing on the design. The expansive sonic planes were described throughout the work with the never-ending horizons and skyline gradients that were used throughout the artwork. 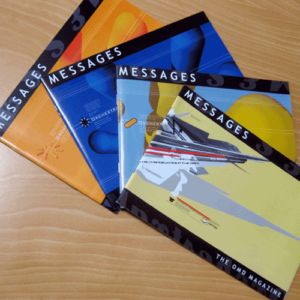 Messages gives its warmest thanks to Tom Skipp.